Konomi is To Heart 2's main heroine. She is a childhood friend of Takaaki, whom she is neighbors with. 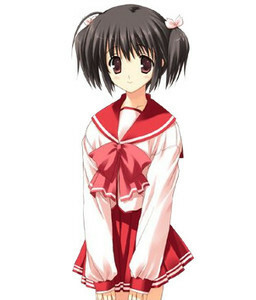 Konomi has a childish and energetic personality and sometimes refer to herself in third person. She often makes an attempt at cooking, despite that her culinary skills are often doubted by Takaaki. Konomi is one year younger than Takaaki, and is still a junior high school student when the story begins, but later commutes to Takaaki's high school during the new school term.